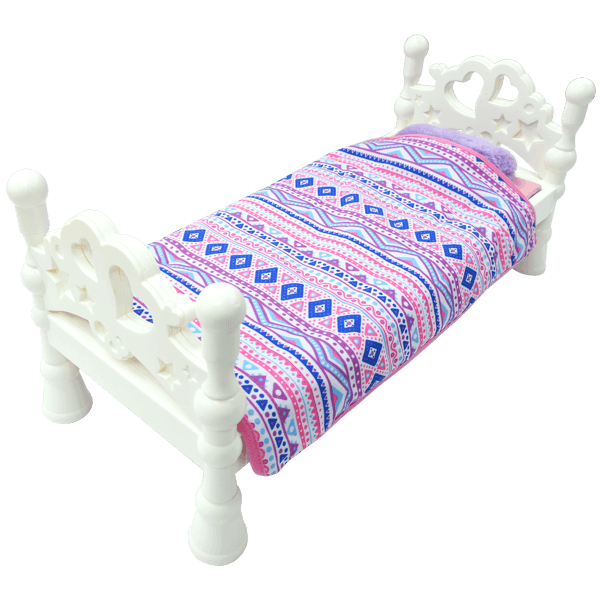 Style Girls Bed is a stylish bed that comes with a trendy comforter and pillow. Bed has a connection so you can create bunk beds for more play. 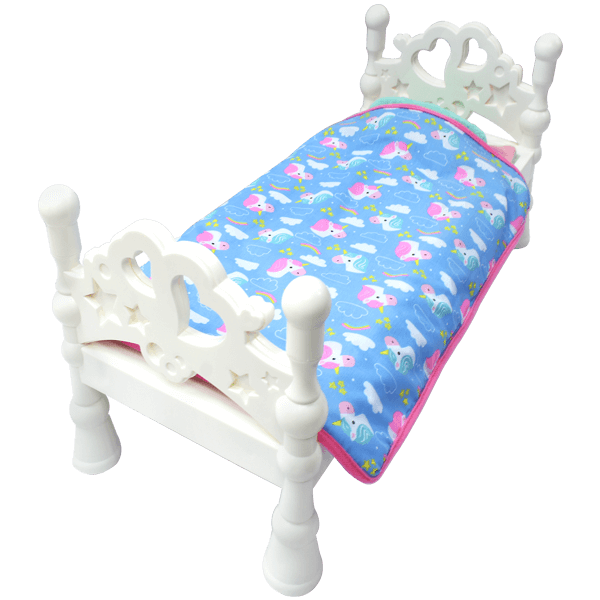 Bed fits most 18″ dolls.